As an embodied DJ, mover, trainer and lover of music & sounds, I enjoy sharing my passion with others. I especially want to inspire women to truly step into the world with their talents, sounds and voices – and follow their deep passion by listening within. If you want to start as a DJ, an organizer and/or dance teacher or want to take master classes, contact me! 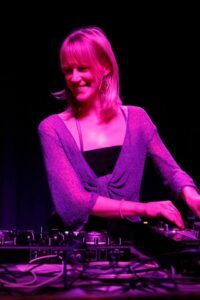 More about my musical journey as a DJ and a ceremony leader, click here!